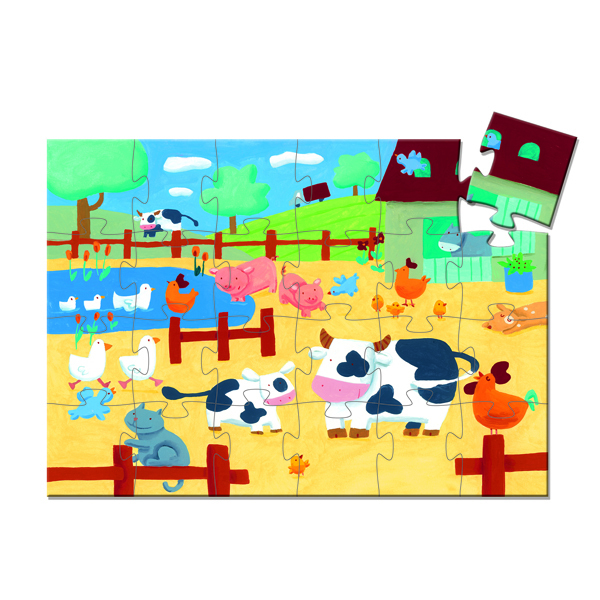 The Cows on The Farm is a cute 24 piece jigsaw set in a lovely cow shaped box. Complete the puzzle to reveal a busy farm complete with cows, pigs, chickens and ducks puzzle. 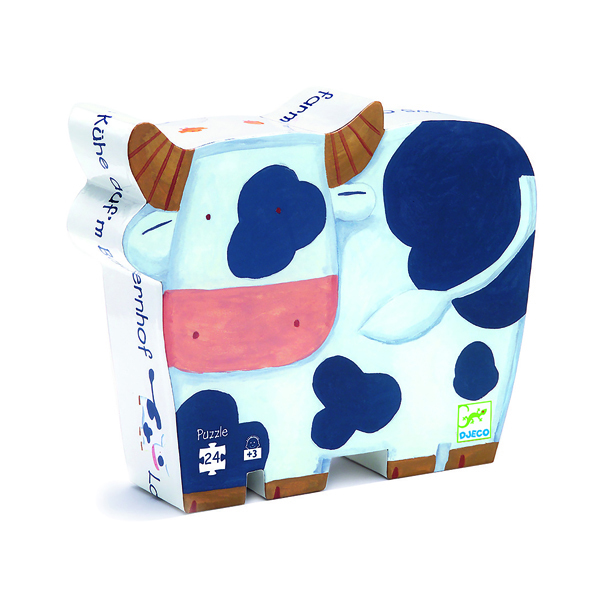 Djeco Cows on the farm is a fun jigsaw in a cow shaped box that will look great on a shelf in a child's bedroom. This 24 piece thick cardboard jigsaw shows 3 cows and all of the other animals you would expect to see on a farm, including pigs, chickens, ducks swimming on the pond and the farm cat.